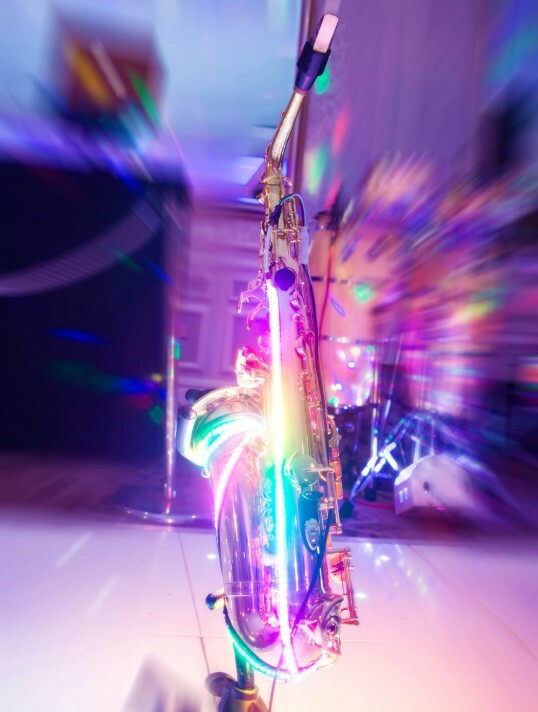 Lux Collective are an innovative DJ Live duo consisting of saxophone and percussionist/DJ. Combining the deep musical knowledge of a skilled multi-instumentalist and the instinctive rhthym and mixing of a pro DJ and drummer, Lux Collective always deliver an unforgettable party. This talented pair play the biggest hits in classic dance, house, club and chart music, as well as classic Motown, pop, soul, funk and reggae. Lux Collective's expansive repertoire and dynamic live show has guests of all ages and tastes cramming the dance floor. 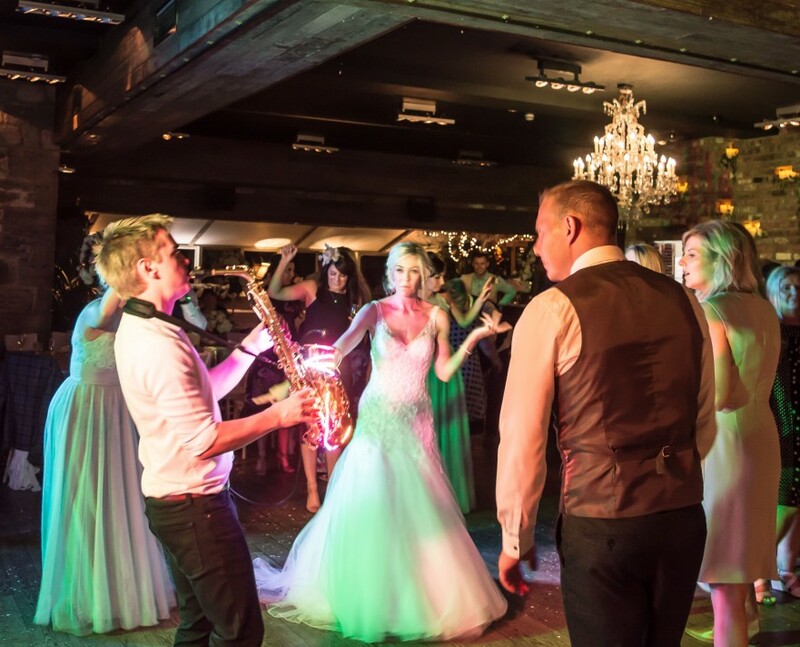 With an amazing light up saxophone and a wireless microphone, the Lux Collective join you and your guests on the dance floor during their exhilarating, interactive performances. 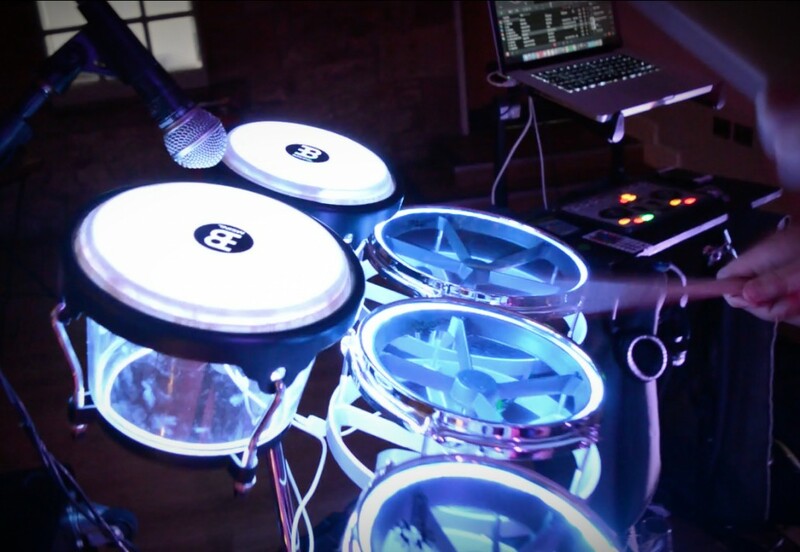 This is accompanied by stunning colour changing percussion, bongos and DJ set up. A high-tech lighting and sound system is included as standard, bringing breath-taking spectacle and amping up the party atmosphere. 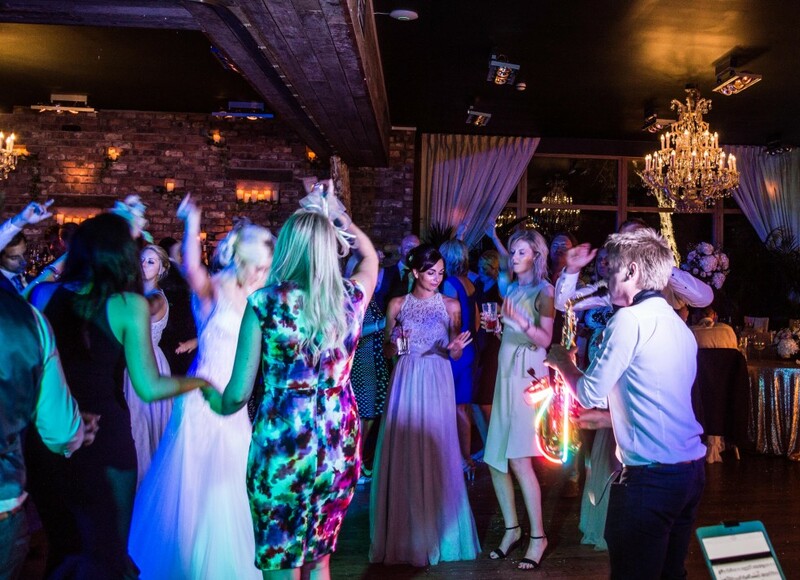 When you hire Lux Collective, you'll recieve two 60-minute sets of live performance and a pro DJ service for the rest of the evening. 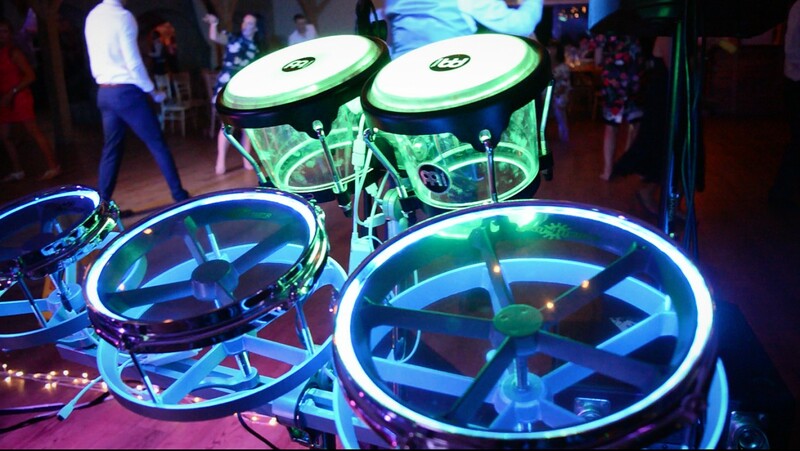 The guys will provide all the PA and lighting required for their upbeat performances, giving you one less thing to worry about. Don't want the night to end? Extend the act's stay with you until 1am! 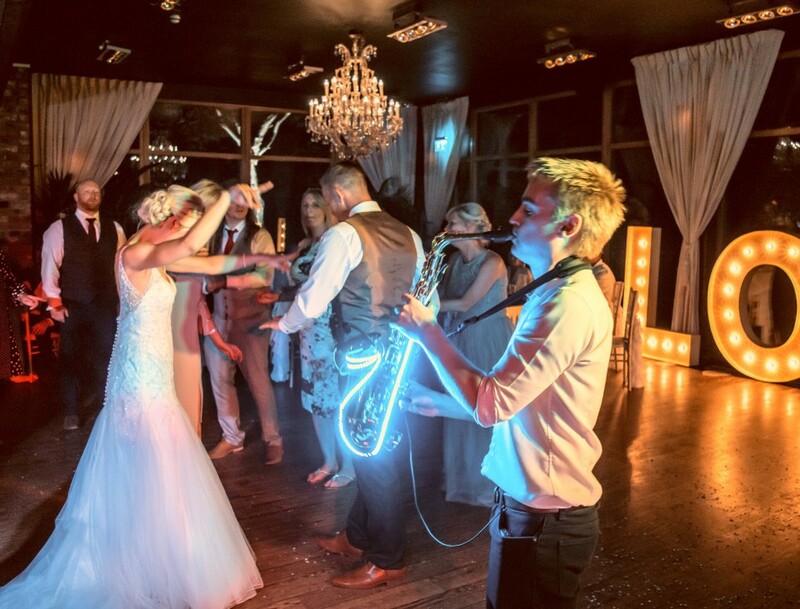 Being accomplished musicians, Lux Collective are also able to offer a range of optional acoustic duo sets which are the perfect accompaniment to wedding ceremonies, drinks receptions and sit-down meals. 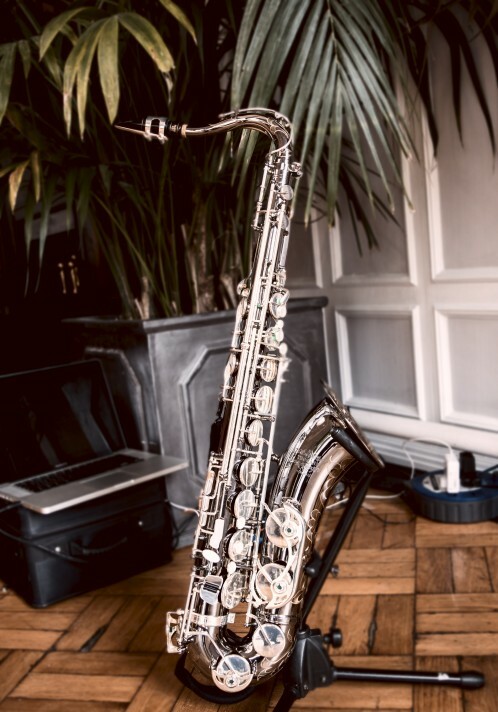 Striving to provide you with the best possible experience, Lux Collective's entertainment and set lists can be tailored for every booking, making their performance personal to you and your event. 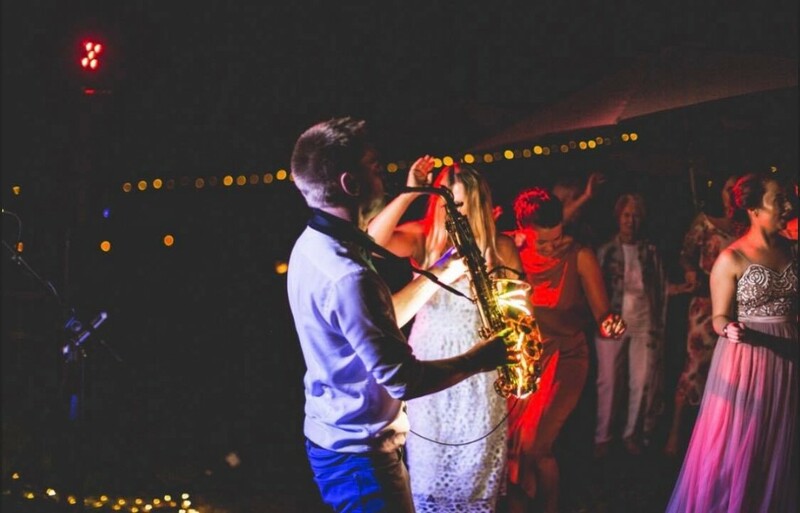 Whether you're looking for incredible wedding entertainment, unforgettable music for your corporate event, or simply something a little different for your private party, Lux Collective are the perfect choice for you. Prices are based on a 5pm or later arrival and Midnight finish, including 2x60 minute sets of live performance. Approximately 45 minutes are required for the act to set up and sound check (depending on access to the performance area). 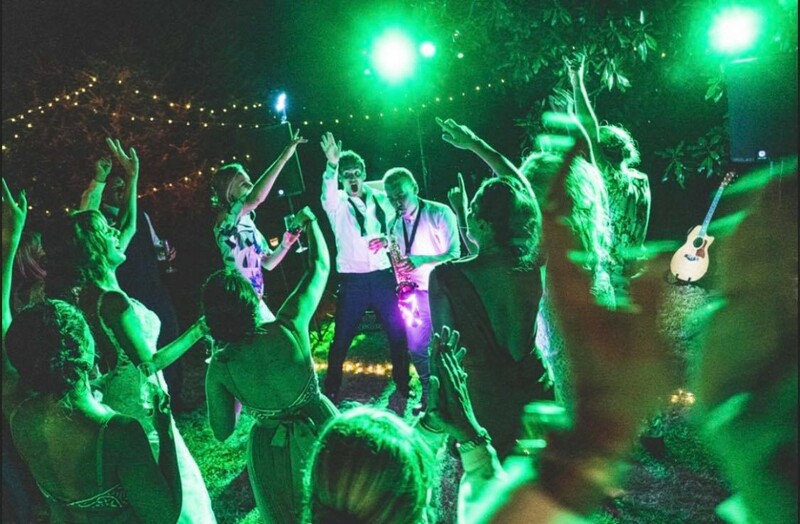 "Thank you to Andy for performing at our wedding they were amazing from start to finish! Picking an act for your wedding is not an easy task and we did a lot of research before deciding but I am so glad we picked Andy. 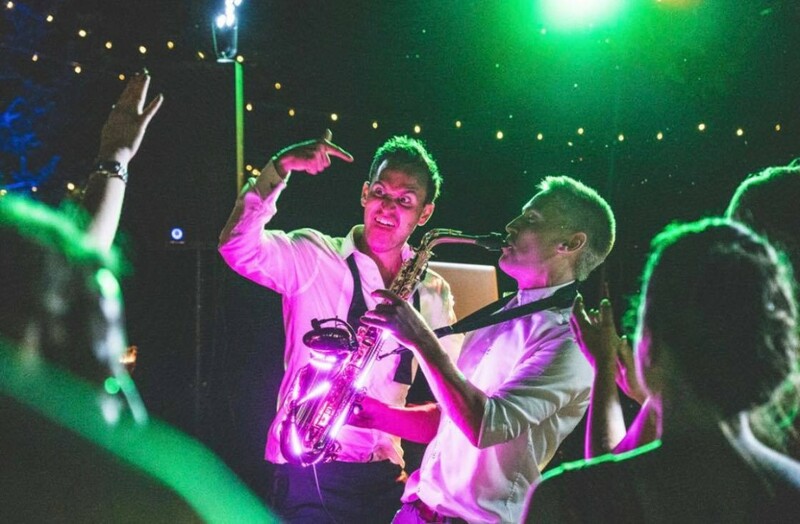 We have had endless comments from our guests about how fabulous they were and Andy playing his LED sax at the end of the evening was the perfect way to end the night on a high and a surprise for everyone! 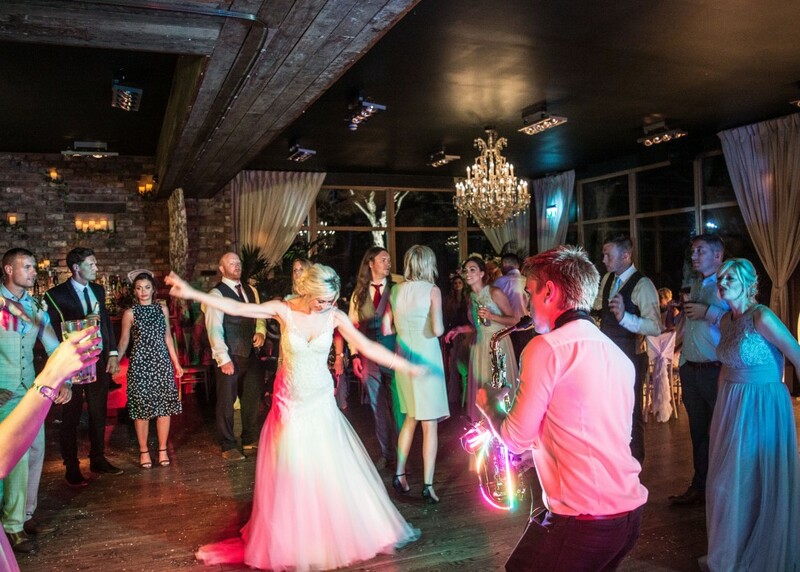 We wouldn't hesitate to recommend, thank you for helping to make our wedding fabulous." 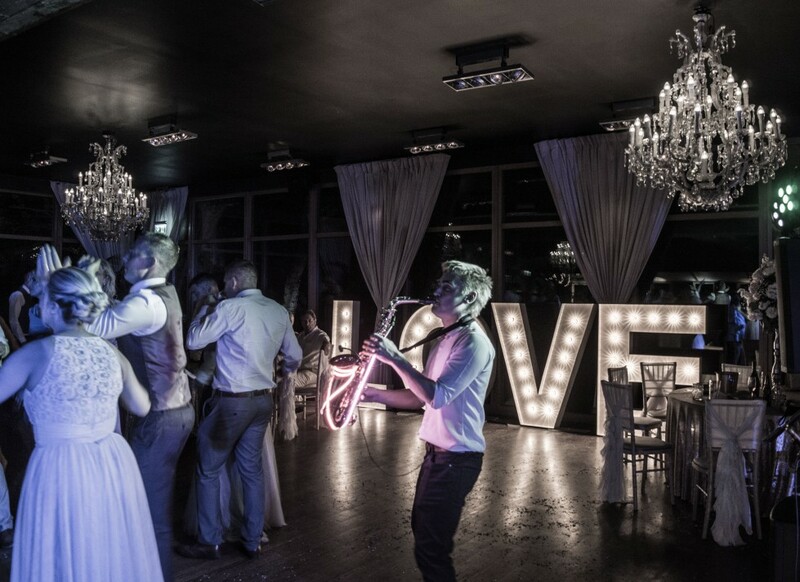 "Thank you to Lux Collective for playing at our wedding. The booking process was smooth and efficient and on the day itself they were very flexible and amenable. The act was great but our absolute favourite bit was keeping Andy on to play sax over the DJ in the underground cellar which makes a very convincing nightclub. This was seriously impressive and added some wow factor. Think Ibiza club or, if you ski- La Folie Douce. 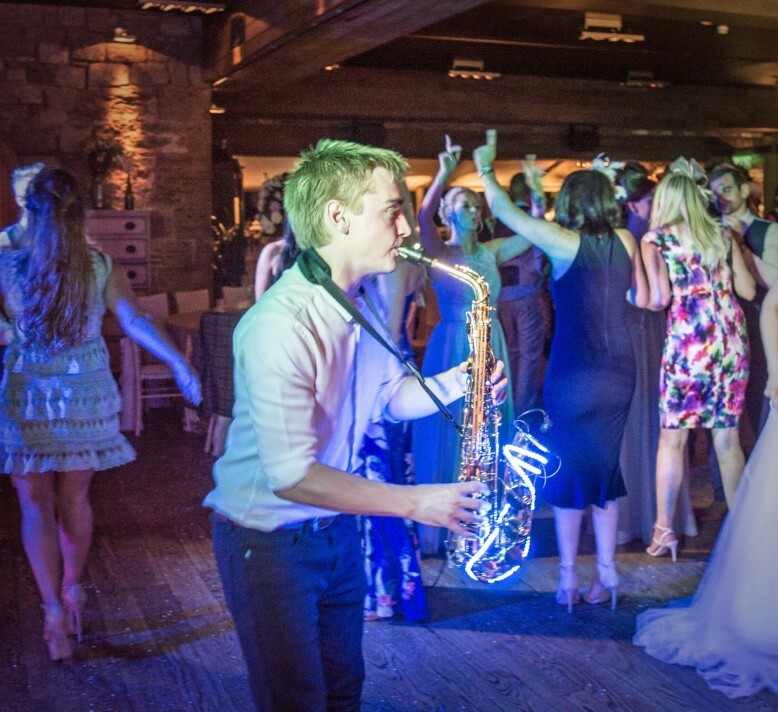 My only regret is that the photographers had gone home by this point as Andy even has neon lights on his sax and the atmosphere was great."